Travelling overseas for surgery or any other medical treatment is an important decision. Taking the right steps and following a systematic approach can make this choice a truly rewarding experience. This guide is aimed at helping you understand the complete process from the point you wish to evaluate your options till you actually come back home after visiting India for medical treatment. Step- 1 : Knowledge is power. Step-2 : Getting in touch with the Hospital. Step-3 : Final touch to firm up your Medical treatment. Step-4 : Planning your travel to India. Step-5 : Get set go. Step-6 : At the Hospital. Step-7 : After your return back home. It is important to do some research before you decide to go overseas for medical care . Update yourself and read all you can on the internet and other media and if possible do talk to people who have been abroad for surgery. Consult your local physician and get his opinion. Request your physician to prepare a detailed medical summary of your present medical condition as this would be required by the overseas hospital as a basic input for providing you an informed opinion on the course and cost of treatment. Your physician would also brief you about the procedure that may benefit you. 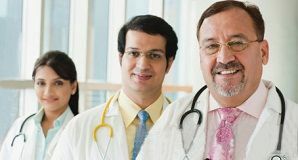 Your local physician can also advise you on planning the follow-up care in the home country after your return from India. Look at various options like whether you want to deal directly with the hospitals or go through a company working as a medical travel facilitator. Shortlist a few facilities preferably accredited Hospitals, which appeal to you in the first instance. Most good hospitals in India have a user friendly “International Patient Services” section on their website. It has lots of useful information about their services to overseas patients as well as contact details of their executives. Send an email to the selected hospital stating your present medical condition and the procedure that you are planning to undergo. Some hospital websites have a simple query form that you can fill in and send by clicking the Submit button. Make sure that you have filled in your phone number and email address correctly. You should get an Auto response email confirming receipt of your query from the hospital almost by return mail. If you do not get this automated mail response, please log in your query again on the hospital’s website. Usually the hospital should get back to you with in 24 to 48 hours with an initial response. They may ask you to send them more detailed medical information like scanned copies of your medical reports, x rays and MRI scans etc. to enable the hospital send you a specialist/ surgeon’s opinion and a cost estimate Sometimes the heavy scanned copies of medical reports may not go as attachments with your email. You can in that case use free services like www.yousendit.com to send the reports to the hospital. The hospital should send you a package cost with details of the inclusions and costs not included in the package. The number of days of stay at the hospital included in the package are also indicated. The hospital may also send you a profile of the surgeon or doctor who would be treating you or else you can ask for the same from them. Ask as many questions that you may like at this stage to the hospitals and get a complete clarity. How many days you will need to stay in India after you get discharged from the hospital before you are able to fly back home ? Most hospitals have hotel accommodations nearby with preferred rates for their international patients. Find out these details and provide for the expense for post hospital stay in the India in your budget. If all your questions are answered and the opinion/ estimate sent to you by the hospital suits you, do ask them when is the best time to arrive in India at the hospital for the treatment. Most major Indian cities are now linked to international aviation hubs in Europe, Middle East and Far East and have daily connecting flights. The website of the Indian Embassy or Consulate in your home country has all the information about applying for Indian Visa. Please ask the hospital to email you a formal invitation letter for coming to India for medical treatment and attach a copy of this letter with your visa application. Its better to book an Aisle seats or bulk head sets with better leg room and instruct your agent or airline in advance in case you need a Wheel Chair or help during the transit. In case you wish to stay for some more time for a holiday in India after your hospital stay, please carry your mobile phone handset. You can buy an Indian Sim Card and save money on local calling as well as be accessible to your Indian hospital or hotel staff. Please do inform the hospital about your travel plans, flight numbers etc, as soon as confirmed so that they can book your surgery, room and airport pick up in time. Please do ensure that the hospital receives this information at least one week in advance of your arrival in India and they confirm the airport pick up and hospital booking to you. Its advisable to transfer the cost of medical surgery or treatment by bank transfer to the hospital prior to your starting the journey. This will save you the risk of carrying dollars or delay in treatment at the hospital in case your credit / debit card not getting accepted prior to the surgery. Usually the patients have to make a booking in advance prior to arrival. Ask the hospital to send you Bank Wire Transfer Instructions to their Bank Account and send these to your bank and ask them to transfer the required money to hospital’s bank account in India. Its better to get a confirmation from the hospital that they have received your funds. If you are using the services of a medical travel facilitator, he will help you out on this important aspect. Please carry all your medical record and any medicine that you may be taking with you. You don't need to carry any heavy woollens or warm clothing with you as the climate in India is generally warm and pleasant. As long as you stay in the hospital, you will be provided comfortable hospital clothing to wear. So just carry a few sets of loose fitting, comfortable clothing and a pair of walking shoes which you can wear post the surgery. Make sure you take photocopies of your passport, visa and other documentation and keep them separate to your hand luggage and leave details of where you are going with someone at home. Please take good care of your personal belongings, Passport, Cash, Air tickets etc. in the aircraft and till you reach the hospital. In the aircraft often take water and non alcoholic beverages like juices and walk once in the aisle ( once every hour when you are awake) to enable you remain in good shape till you reach here. Before your flight lands in India, please fill in the immigration form given to you by air hostess and stand in the queue for immigration and present the form with the passport. Both the passport and a portion of form would be stamped and returned to you, please keep these safely. Please pick up your checked in baggage and come to the arrival area where you will find someone from the hospital with a board in your name and he will take all care of you till reach you the hospital. On arrival at the Hospital, you will be checked in to the room reserved for you. The admission formalities would be completed and some queries would be posed to you by the hospital admission personnel and the duty doctor. Any valuables like cash, jewellery or expensive items can be deposited for safe keeping with the hospital and a receipt taken. While you are in hospital, doctors will explain to you the proposed treatment, to help you decide whether you agree to it. The hospital must obtain your written consent to any operation and any other procedures (including investigations). You will then be asked to sign a consent form. If you are unsure about any aspect of the treatment proposed, please ask to speak to a senior member of staff. Some procedures do not require formal written consent, but staff will explain all the risks, benefits and alternatives before asking for your verbal consent. Food and Beverages - The Diet is an integral part of your medication. The hospital’s dieticians, in association with your doctor, will assess your diet needs. You are advised to follow the diet instructions specified by them for a speedy recovery. Please do let them know your diet preference. The same applies to your companion, if you have one accompanying you who wishes to be served food in the room itself. The hospitals also have a Cafeteria where the patient’s companions can walk in Prior to being taken for surgery or procedure, please do let the hospital administration know if you would like regular updates to be sent to your family back home as you progress. Your companion will also be kept updated. Your surgeon or doctor will let you know when you can be discharged from the hospital. The hospital’s guest relations executive will inform you when your final bill is ready and if you have to pay any balance dues prior to leaving the hospital. Please do not ever leave the hospital without your doctors permission and let your companion also inform them before going out of the hospital. Please follow the doctor’s advice on rehab, physiotherapy and diet in a disciplined manner to help your speedy recovery. At the time of discharge from the hospital, please do collect a detailed Discharge report and copies of all the investigations done during your stay and do ask the hospital staff to explain anything that you may like to understand. The airline you may be flying back to your country may require a fit to fly certificate which the hospital will be able to provide you. If you have got a metal implant like stent or artificial joint, please do collect a certificate from the hospital that will exempt you from going through the metal detectors at the airport. Your return journey tickets may require reconfirmation. The hospital guest relations staff can help you get your tickets reconfirmed or changed at actual cost. Please keep your medical record safely and do show it to your local physician so that he can monitor your progress and advise you from time to time. If you need any help or advice from your treating surgeon or doctor in India, please keep his email address and phone number handy and do send him periodic updates. Do share your experience with others in your home country. Keep Smiling ! Write to us for a Free No Obligation Opinion and cost Estimate for International Patient Guide in India.